Gone are the days when you could only buy home medical equipment at a local store. Now, there are hundreds of online medical equipment providers who stock a wide range of medical equipment and supplies. For family caregivers, online stores may present a seemingly more convenient and quicker option, but the reality is that local providers will provide better services and are better resources for choosing the right medical equipment to meet the disease, condition and needs for your loved one. Let’s take a look at the pros and cons of buying medical equipment and supplies from local providers versus online stores. 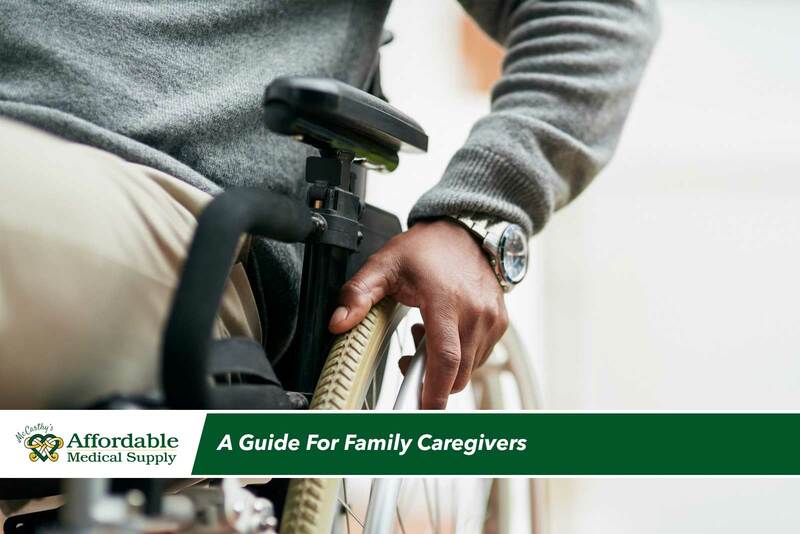 As a family caregiver, you’ll know that it is crucial that the medical equipment you purchase is perfectly suited to the needs of your loved one. Buying the equipment from a local provider means you will have the opportunity to inspect the equipment yourself, check its dimensions, try it out to see how it works and ask any questions you may have about the equipment. By speaking to a medical equipment consultant, you’ll be able to share your loved one’s particular needs and receive advice on which equipment is most suitable. For example, if you’re purchasing a wheelchair, the consultant will ask about the patient’s age, height, weight, physical strength, diagnosis and overall state of health, as well as why the wheelchair is needed, before advising on which type of wheelchair will be best to purchase. It is important to discuss these issues, as some wheelchairs (such as companion or transport chairs) are unsuited to certain patients, particularly those who need their legs to be elevated. If you purchase the wheelchair online, you may end up buying the incorrect chair type, which can be harmful to your patient’s health. In many cases, and especially when the patient will be using the wheelchair for a long time, it is best to give the patient themselves the opportunity to test out the chair (where possible) and determine if it is to their comfort. Of course, this won’t be possible if you’re purchasing the chair online. Another benefit which comes with buying from local providers is that the provider’s business is usually integrated into the community. Local medical equipment providers who have offered their services to family caregivers in the community for years are committed to ensuring that their products work – they are often very passionate about their business and the community they serve – providing service and assistance of the highest quality. The obvious downside of purchasing medical equipment online is that you won’t be able to test it for yourself before buying it. Online providers often have an overwhelmingly wide range of stock, which can be unhelpful and increase your chances of buying equipment which is inappropriate for your loved one’s needs. There is no professional consultant to ensure that you are making the right choice, or to ask you the necessary questions to determine which type of product is best suited to your patient. Online purchases can often go very wrong, you could end up spending thousands of dollars only to find that the equipment fails to accommodate your loved one’s needs. Generally, online stores are only concerned with securing a sale, and the reputational risk they carry for failing to sell you the correct product is very low in comparison to local providers. Another thing to consider is that online stores will only ship the equipment to you, but they will not help you to set it up or install it – and if they do, they will usually charge extra for this service. So, while shipping is ‘free’, the overall cost is much higher when you take set-up fees into account. Generally, local providers will deliver the equipment to your home and ensure that it is properly installed and that its use is explained. You also need to think about what will happen if you require repairs – when you’ve purchased from an online store, the warranty will be handled by that store which means that getting the equipment repaired can be a major hassle, and involve shipping the equipment back to the provider. 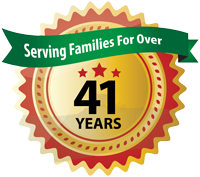 At Affordable Medical Supply, we have been assisting family caregivers with the purchase of home medical equipment for over 40 years. We pride ourselves on being invested in the wellbeing of clients in our community, and treat every sale of medical equipment with the care and concern it deserves. We are certain that the assistance and support we can provide you will beat that of any online store. Contact us today so we can help you in meeting the needs of your loved one.